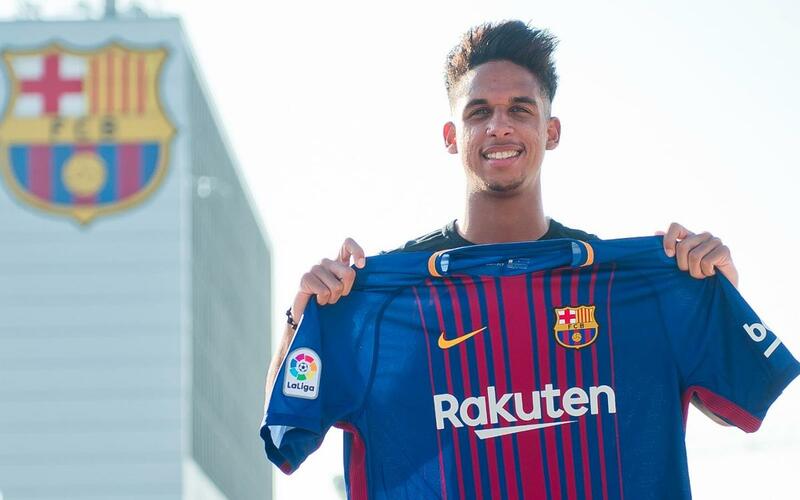 FC Barcelona have secured the services of Victor Hugo Santana Carvalho, known as Vitinho, for Barça B on loan from Palmeiras until 30 June 2018 with the option to make the move permanent. Vitinho, who was born in Sao Paulo on 4 March 1998, has signed his contract this evening in the presence of the Director responsible for the Professional Academy Football, Silvio Elias, and the head of sports management in the football area, Josep Segura. The Brazilian player will join the Ernesto Valverde’s team’s preseason training tomorrow. Vitinho has played for all the Brazilian national side age-group teams and he has made his first team debut for Palmeiras. He has played for Palmeiras since he was 13 years old and is under contract until 2021 with them. He can play as a right-sided midfielder or as an attacking one and is a direct, fast, creative player with a good dribble and an eye for an assist. With the Brazilian Under-20 team he was chosen as the best player at the Torneo Bellinzona in Switzerland.